Joining — Utility Supply (West) Corp.
Smith-Blair Dismantling Joints provide adjustability to equipment installations by combining a Flanged Coupling Adapter and a Flanged Spigot into one assembly. 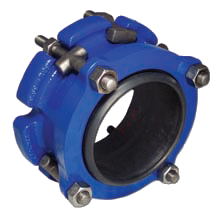 Dismantling Joint applications include valve, pump, meter and other flanged fitting installations. 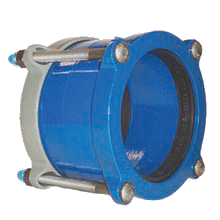 Smith-Blair Expansion Joints are carefully designed and manufactured according to specific engineering requirements. Each expansion joint consists of a slip pipe that telescopes within a body to compensate for changes in the length of a pipeline. 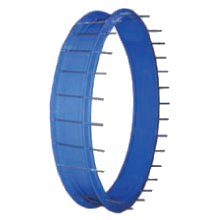 The body of the expansion joints has a packing chamber containing resilient packing to form a seal between the body and the slip pipe. Smith-Blair End Caps Smith-Blair Steel Pipe End Caps are easy to remove, re-install and block. They are an ideal means of capping the line for testing, and they also make a dependable pipe end seal for permanent installation.